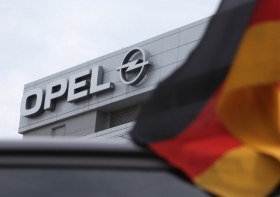 FRANKFURT -- General Motors' Opel managers will present a business plan next Wednesday to the unit's board that likely will involve closing two plants in Europe to reduce manufacturing capacity by some 30 percent, people familiar with the company's thinking said. GM's plants in Bochum, Germany, and Ellesmere Port, England, are the most likely candidates for closure among the automaker's seven European vehicle plants, media reports said. The downturn in the European economy and light vehicle market has forced GM to accelerate its turnaround efforts in the region. GM lost $747 million in Europe in 2011, its 12th annual loss, bringing its cumulative losses in the region to $12.4 billion. "GM has been saying repeatedly that, with excess capacity equivalent to 500,000 cars annually, we have two plants too many and the new head of manufacturing has been visiting one site after the other, playing them off against each other," said one supervisory board member from the labor side, who asked not to be identified. "We know the main points of the business plan that may be presented on Wednesday, and it foresees plant closures and no growth of the company," the board member said on Thursday. "If it's put to a vote, then the entire labor bloc will vote against this plan." Employee delegates cannot block any decision by senior GM executives sitting on Opel's board, since they lack the majority. A GM spokesman declined to comment on talk of closing plants, but repeated the U.S. automaker's previous statement that executives are working closely with the unions and works council to improve profits. The Bochum plant built 131,326 units of the Astra compact car and Zafira minivan last year, according to Opel. Ellesmere Port built 139,882 Astras. A person at the company said no decision had been taken on closing plants in Europe, but added management's room for compromise was increasingly limited by extremely harsh market conditions. GM CEO Dan Akerson has grown increasingly impatient with the chronic losses in Europe. He said earlier this month that it may take two years before the division shows a profit again. Ellesmere Port's labor leader, John Fetherston, said closing the company's last remaining car plant in the UK could severely risk sales in that market by leaving Opel's sister brand, Vauxhall, without any local production. "There's no real attempt to open a dialogue over the opportunity to build where we sell -- like manufacturing the Chevrolets that are imported into Europe -- things that we think will avoid plant closures," said Fetherston, referring to labor's preferred solution for unused factory capacity. The UK, where GM also has a factory in Luton that builds commercial vans, is Opel/Vauxhall's second-biggest market, just behind Germany. Vauxhall sold 268,275 cars in the UK in 2011, according to the company. Opel sold 268,375 cars in Germany. Opel sales in Europe have tumbled by a fifth in the first two months of this year -- worse than the 18 percent decline at the Fiat and PSA brands but better than the 28 percent plunge at Renault. Opel's two plants in Spain and Germany that build the Corsa subcompact, a segment particularly dependent on demand in austerity-hit southern European markets, have both been cutting production. Normally assembly line employees at the Eisenach plant in Germany work 38-hour weeks, but this has been cut to as little as 30 hours. The Spanish sister site in Zaragoza has also been telling some of its employees to stay home as company sources say its capacity utilization is set to drop below 70 percent this year.